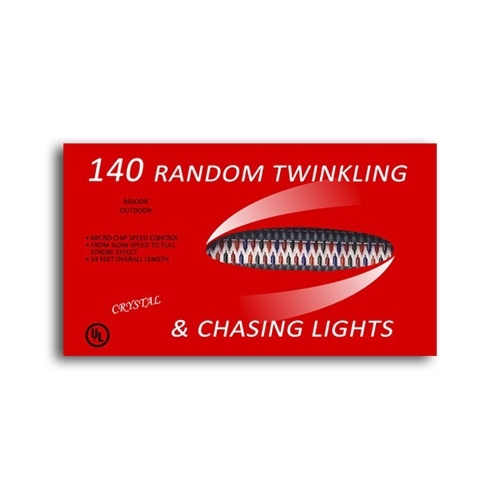 140 Chaser Twinkling Light sets with standard Incandescent lights with clear bulbs or Multi bulbs with green wire. 30" Lead and 4.5" spacing. Sold (12) sets per case. UL Lights. Order early, these sell out fast. Indoor/Outdoor use. Rated for 3000 hours.